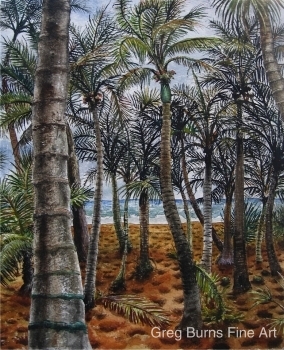 Palm trees are a particular favorite subject matter for me. They are varied and a pleasure to draw and paint. 11" x 13 3/4 "